unless you have a burning question.."
Alison is one of the UK’s leading psychics based in central London. 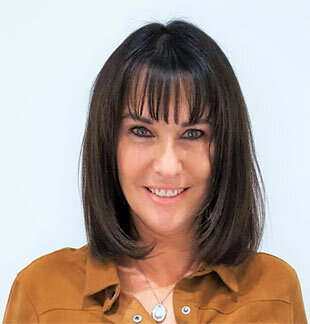 Her work entails travelling throughout the UK and overseas attending Mind Body and Soul exhibitions and facilitating spiritual and psychic development workshops and working on television and radio. Alison is also a consultant and member of the British Astrological Psychic Society. and compassionate psychic who enables the clients she connects with to feel at ease. Alison has worked and helped people from all walks of life and is renowned for her accuracy, specialising in relationship readings of all kinds. I embarked on my psychic journey at a very young age later on I was introduced to a beautiful nurturing circle in London where I continued to explore my psychic abilities. Later on I became a member of the London college of psychic studies then for a further 5 years I studied at Arthur Findlay College Stansted. I will link with my guides and will then be given information about the past, present and future covering all areas of life. I may see initials of names, locations either in this country or overseas. Whatever I sense, I will share with the client. I teach Psychic Development Workshops and facilitate in Central London and around the UK. Most clients have burning questions, other times it can be related to moving home or studying. People do have burning questions usually related to love, relationships, work, house moves or Psychic development. Many subjects prefer not to give information. I run Psychic Development workshops throughout the year specializing for beginners. I have worked extensively on Sky TV presenting and doing psychic readings I present a colour psychic expert piece for The Sun Newspaper online.